This post celebrates few of the most incredible Open Source Hardware project from 2013. Most of these projects were crowdfunded, and I believe this tells much about how innovations is funded and encouraged these days. 2013 was a year full of open innovations and 2014 looks largely promising as both huge companies and independent developers and startups increasingly look at this approach to innovation. Stay on top of the news by following @OpenElectronics and @Meedabyte and be sure not to loose news and updates! For sure, buying laboratory equipment can be costly: that’s why the folks at Red Pitaya decided to create a piece of hardware that can transform a phone, tablet or pc in a research lab equipment. Apparently many folks believed in the project and they ended up rising five time the objective: according to their latest update, the guys are pretty on track to deliver their products with only two months delay. Not bad for a crowdfunded campaign that received a – likely unexpected – amount of success! One limit of the project: despite the software stack is open source the hardware is not. This project was launched in the summer by two Milan’s Politecnico fellows: the two italian guys designed a super cool triple feature machine (scan, 3d print, mill) that is also beautiful: as you may know, Milan is home to italian design and that’s where this is coming from. Ah! Who doesn’t love cross-fertilization. Said that, this project was a blast: they raised almost 600k$ (most important European crowdfunded project at the time and, I believe, so far today) per respect to a budget goal of 50k. They pre-sold more than 300 printers and the boys are on track to deliver in the early summer next years. If you want to know more about the project you can find it in the interview we had with the founders. If you’re wondering how many RF lovers are in the world, I would say MANY. Hack RF, the platform that helps you “Transmit or receive any radio signal from 30 MHz to 6000 MHz on USB power”. According to the project updates in kickstarter things seem pretty on track: for sure the development team has no money shortage as the project got funded an outstanding budget: more than 600k$ for a project originally asking for 80k. That’s a success. This project shows once again that you can innovate every business or technology sector, also the more traditional ones, with a radical open source approach. Can’t wait to see the developers working on applications. There’s nothing much more to say: a company that decides to take over city vehicles design. This company just developed a modular, hackable template for a small city car that can be adopted by industrial players and be a basis for the development of urban car sharing programs and branded city vehicle models. They did it in opensource and the blueprints are available. Even if the overall project capability to interact with the community still needs to unfold properly, this project is exciting as it brings open source vehicles next level: on the actual market. September: The Phonebloks vision for the Smartphone of the future. Despite this project is nothing much more that a dream right now, the vision is building up very fast. It was only in September that Dave Hakkens created the incredible community of interests behind his Phonebloks video (more than 18M views on youtube) and succeed to gather 1 million people in a thunderclap campaign supporting his product vision. After that, things have run pretty fast: Motorola, the Google backed Smartphone manufacturer, joined efforts with Dave and the vision is now unfolding pretty clearly: an open source, long term, interchangeable, modular, customizable phone. A phone that is worth having. Watch Dave’s video interview on Open Elecronics to know more and, more importantly, take action: register on Phonebloks website and on motorola Project Ara’s Dscout page and give feedbacks! October: Poppy, an open and affordable humanoid robot to experiment with. Getting in touch with these guys was a precious experience: getting to know the complexities of promoting such an open and inclusive approach to technology and hacking in a country that is experiencing some tough security and instability problem since a long time now. Shamduino is nothing new from a purely technological point of view, neither is completely open source (yet) as you can read the motivations in the interview we had earlier this year with Atadiat’s founder Yayha Tawil. Despite all, we decided to award them among the most exciting open source projects of the year because we believe that open source hardware is not just another way to develop hardware projects, but it’s a totally different approach to the market, to communities and innovation. This amazing project presented earlier in December just got huge coverage worldwide this year. 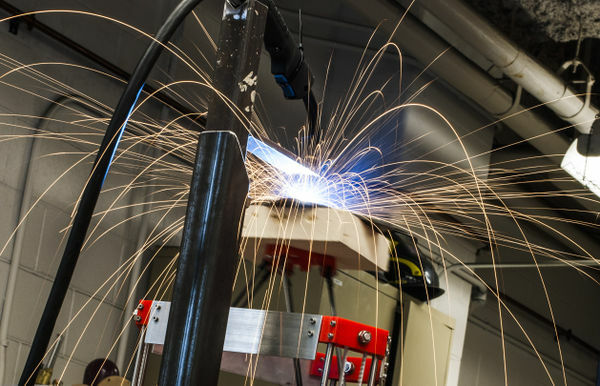 Having a cheap metal 3d Printer is a true dream for most of the maker community and could have a huge impact on the potential for small companies – as well as developing world communities – to accelerate their potential to create technology innovations. The fact that this is based on a Reprap delta just gives more importance to the project as – thanks to the evolutionary nature of RepRap ecosystem – we can really foresee a rapid development and several more interpretations of the project coming by soon. Open Source innovation in related to medical applications it’s definitely and always great to see and to be encouraged. Having access to an open source, high quality, open source, hardware to gather EEG Signals can unlock a lot of community innovation in this field. 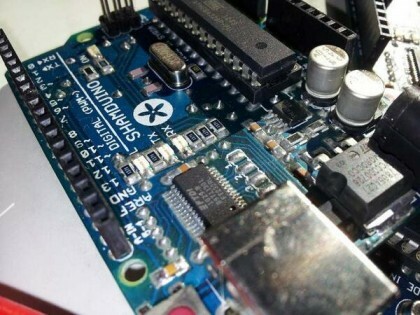 Despite EEG waves can be used for non medical applications such as Human-Machine interaction, in gaming or un design, this hardware can also be used by bio-hackers wanting to dig more in deep into brain diseases, psychological states and in general to relate brain patterns with mental and physical problems. All the founders of these amazing projects need your support so why not to dig more in deep, get informed and also involved when possible? 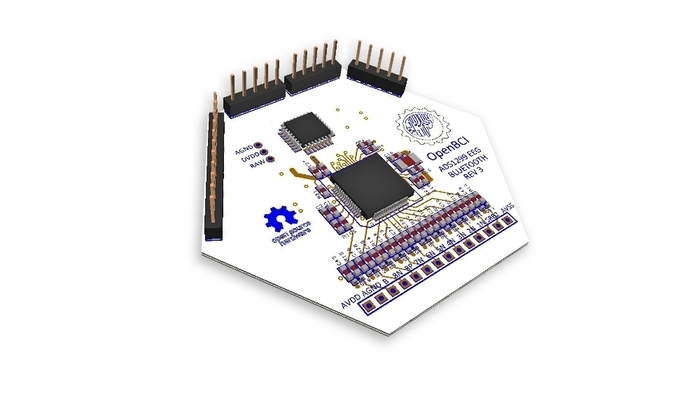 Have a nice 2014: if we know something about it, this will be the year of Open Hardware!